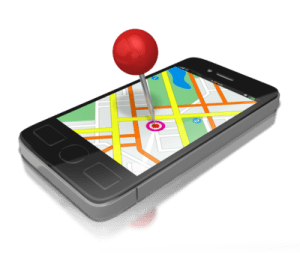 Overwhelmed With Google Maps And Places? Google Maps And Google Places Listings are very important. It wasn’t long ago that a friend asked me how I got my local health care practice to the top of Google, Bing and Yahoo. I had to explain we have top billing in listing directories too! My friend wasn’t my first client and she will not be my last. Regardless of what level your at with your business we can help. Here are our most popular ways we assist local business, home-based, and start-ups throughout the USA bring in more new clients and turn them into loyal customers who refer others. Ready to find out more? Call our office now to setup your complementary 20-minute consult with Debra to create a personal marketing strategy just for you that is affordable! GET MY BUSINESS LISTED – This extremely affordable system is our starter level. We will help you get your home-based, startup, solo business, small biz, or mompreneur listed in the top search engines like Google, Bing, and Yahoo. Your company will be also listed in more than 30 directory listings and kept up to date for one small monthly fee. This is a month-by-month contract. No hidden fees and you own your listings! We’re not going to charge you for stuff you don’t need or high rates meant for a larger small to mid-level business. LISTED ME AND RESPECT ME! – Heard about online reputation? Whether you are just starting out or been in business for years people will talk about you. You want to make sure that only the best comments and reviews hit the online websites. It’s a big thing these days. Do you know what your clients are saying about you? Are you aware what your prospective new customers are hearing about you or the reviews written online about you or your business? Let Deb and her team help you manage your reputation. We gently and respectfully make sure only 4 and 5 star reviews appear on the most popular review sites like Google Plus, Yelp, Yellow pages, Yahoo, Merchant Circle, and more. 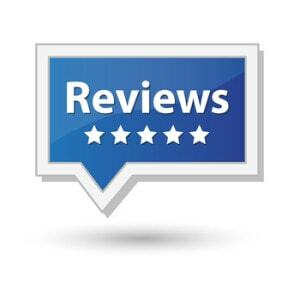 ** We also get you more reviews monthly. The Power Of Social Media Is in engaging with your current clients to get more clients! HOT MOVER AND SHAKER BUSINESS MAKER – this is our second most popular package. Are you on a budget? You know investing in your marketing is the quickest way to create success for your company. This personalized bundle includes your local business listings, online reputation building, and basic social media. You’ll have all the great marketing tools offered in the other two programs and now you’ll be able to offer monthly or weekly specials on Facebook, grow your engagement with current clients and future clients via social media like twitter, Facebook, LinkedIn, and more. 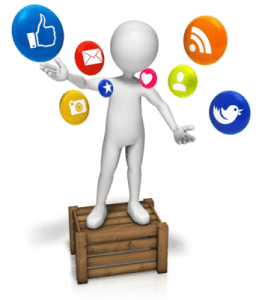 Have you heard you can’t make money with social media? It’s true, so why bother. Because social media is the most effective way besides email, and direct mail to keep your current customers buying from you. Statistics show that businesses that connect with their clients make 58% more per client. Further prospective referred clients are more likely to look at you in social media and decide to do business with by 26% because they like that fact that you engage with your clients. Whole Foods, a large food retailer has found that engaging their clients and prospects with social media with topics about what is in season or local farmers creates brand loyalty. Let us engage your customers in social media with the topics they like to hear about. 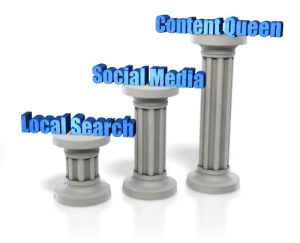 Combing local search, social media, and content on your website can quickly take your business to the top. CORNER YOUR MARKET – This is our most popular local business program. Who’s it for: The local or home business who wants someone else to manage his or her search engine listings, directory listing, social media, schedule requests, Facebook page prospects, and website articles or posts. The quickest way to own your corner of the marketplace is to have your name, brand, and reputation everywhere. This system provides you with all the great services offered above along with a personalize article each week for your blog. Don’t have a blog. We can help you with that separately for a small fee. It’s no secret that content is King. Search engines love to see new high value content added to your blog regularly. My writers will create a 300-500 post for your blog that is original fresh content. It will not appear elsewhere. Guess who else like to read your articles? Your clients do and this content can be used with your email marketing to further help retain establish buyers. Call Our Office Now to setup your free 20-minute consult with Debra to create a personal marketing strategy just for you that is affordable!